TMNT Fan Film in Claymation! Hello there, Mikey, I was just wanting to tell you about a Turtles fan film that I, Jared Ward and my friend, Brandon Gay are making. We call it, TMNT: The Other Strangeness. The name is of course inspired by that old role-playing book, but it also has quite a bit to do with the movie's story. 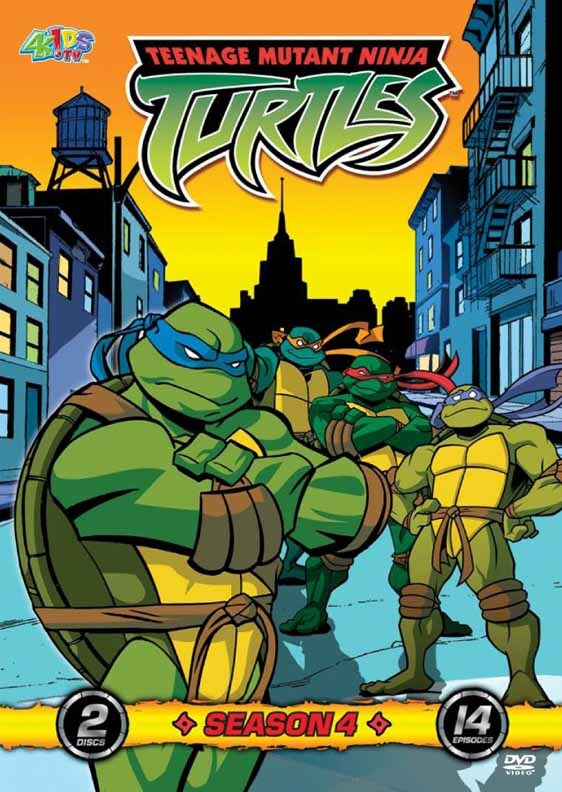 It focuses on the first 5 issues or so of TMNT Volume 1, and recounts how the Turtles found out that they weren't the only "strangeness" in the world. It will be very dark and moody, and a very exciting departure from the typical Turtles presentation, this version focusing on the quirkiness and oddity of those first Turtles comic, thus our title. Also, claymation, we felt, was a medium that would be perfect to tell this story in, and seeing as we're college students with little budget to work with, clay and paint, with a little computer wizardry is the perfect way to apply talent and not riches. There are going to be all sorts of exciting updates and reveals about our little independent film in time, but also be aware that the movie, especially since it's claymation, will be a long process tha twe are only beginning. What we do have is the maquette we created of Leonardo that we're very proud of, and would love to share with you and your readers, as well as our progress on this exciting journey. So with that in mind, we have created an official blog for the film, and there in the photos section, you can see exactly what we're talking about. I have already sent a similar e-mail to the official Turtles site, but to no avail, it could be that they haven't got around to making sure they can post independent, non Mirage licensing news, or they're not taking us seriously. After my co-director, Brandon, suggested your site, and I visited, I could tell that I should've sent you the news in the first place, the home of the Fan's TMNT, not the studio's. So with that in mind, I ask you pass along this link to your readers, if you have any questions, feel free to email me. ..i am sad to report that veteran voice, television & stage actor Tony Jay passed away on August 13 "..after failing to recover from microsurgery to remove a non-cancerous tumor in his lungs." Tony's voice was phenomenal and distinguished... an incredible singer as well. He was also a former member of the Royal Shakespeare Company. His voice works are noted in so many animated projects such as: World of Warcraft, Tale Spin, Gargoyles', the evil Judge Frollo in Disney's Hunchback of Notredame to name just a few. Mr. Jay was also known as the voice of Lord Dregg, the main villian of the final two seasons on the original TMNT program. Much love goes to his family from everyone here at Mikey's TMNT. -->> Nacho (thanks,buddy) provided me yet another interveiw with Kevin Munroe !! Comis 2 Film gets a little more insight from Munroe on TMNT 2 (movie 5) & Kevin's next big project after TMNT... Gatchaman (Battle of the Planets). 4Kids Entertainment Home Video, in association with FUNimation Entertainment, will release special editions of Teenage Mutant Ninja Turtles: Season 4 and Sonic X: Season 5, each in its own two-disc set, on September 12, 2006. Teenage Mutant Ninja Turtles: Season 4 includes 14 episodes. Bonus features include five never-before-seen TMNT shorts as well as animatic clips from key episodes. Sonic X: Season 5 features 13 episodes. Bonus features include a Storyboard Slide Show featuring panels from each of the 13 episodes on the DVD. Teenage Mutant Ninja Turtles: Season 4 and Sonic X: Season 5 will run for 315 minutes and 290 minutes, respectively. Both sets will retail for $16.98 (SRP) each and will street on September 12, 2006. .. The first two Nintendo GBA TMNT games are now available in a double pack !! Click here ** !! simply known as TMNT: Ninja Tribunal. available on their website! OMG! So fraking awesome! In the ep the turtles and humans are given medalions. -- English translation of interview **Click ..
- ..".. trailer them of the turtles but with something different, they fan changed the original sound by the song of intro of the old one animated. " - Posted the short synopsis for the Fast Forward "Home Invasion" episode. "If you have Comcast digital cable you can watch the 'Lost Season' (the one that starts off where season four left off with the Ninja Tribunal story line) via Video On Demand. Don't trust the episode info on there, it's wrong. Just start from the top of the list and you will be fine." This throws a real monkey wrench into the Episode Guide listing for the series - so expect it to change over the next few weeks or months. "Fast Forward" may stay listed as Season Five, if so, I'll add "The Lost Season - Ninja Tribunal" in between Season Four and Season Five. Or "Ninja Tribunal" may wind up being listed as Season Five if Comcast airs all 13 episodes of "Ninja Tribunal" before "Fast Forward" begins in September - even though folks without Comcast VOD (like me) can't see it - ack, this is giving me a headache! I also have to verify with Mirage and 4Kids how they want the two seasons officially labeled. The numbering I'm currently using will probably change to reflect the original intended airing order (or airing order, whatever the case may be). What a sticky wicket TV can be! - Posted the extended synopsis (with screenshots) for Episode #90 "All Hallows Thieves". - Added a bunch of Fast Forward action figure links to the Toys page. Feelin’ Groovy Tour (Radio Disney) runs through September 16th. The Teenage Mutant Ninja Turtles are teaming up with Radio Disney for a gigantic mall tour, where fans can come meet the Turtles. Two of the four Turtles will be on hand at the Imagination Station to help all the Ninja fans feel good about themselves. The Turtles will help kids explore exciting new activities to keep fit. - Posted the extended synopsis (with screenshots) for Episode #88, "Dragons Rising"
Tons of people have sent in the following links - thanks everyone! Missed the special TMNT (movie 4)-SneakPeek..from last month's Comic-con ?? Don't worry !! tOkKie has it posted on Krib ..just for you non-CON attendees and Turtle fans!! Click here*..
4 this special peek into the Turtle's big sreen CGI Return ..posted just for you from terrible2z & Mikey's TMNT !! -- The 'Round-up' has proven to be a successful & practical way to release TMNT info ..as much as i can from all sorts off official and unofficial sources .. people keep sending kind notes about the all the random and cool gathering of info. I really appreciate all the kind support n' kudos ,you guys !! You help make it all worth while..and many of you help make it all work !! Report any TMNT leads to me tOkKa or Mikey .. for kudos back n' a lollipop !! 8D !! -- ..countin' off tips from my 'Target' informant n' SLASH ..(we shall neither confirm nor deny they are one & the same or nothin) ..Torbin Zixx,the baisic FF vehicles (" That Hyper Shell was $20..And the Hover Craft Base was $50.."-Slash),FF TMNTs,Triple Strike TMNTs,Sterling,Cody,FF Splinter,Baxter-bot,Mutated Don (a.k.a. Gamera-Don),Baisic TMNT figs including the last batches of Paleo Patrol Toys n' figs..are still standing on the pegs, are just now bein' shipped out to every corner of the nation n' soon globe hopefully. FF Villians are due real soon. The only missing baisic it seems is "The Purple Dragon" (Johnny) ..stay tuned n' keep checking the merging mixes on the pegs. As TMNT shifts into Fast Forward product..hopefully some P.Dragons will be makin' to the stores !! --..Note from Mikey (the boss 'round these here parts).."Final Fu is on MTV2. The host/referee is the kid from the second Ninja Turtles movie -- Keno (Ernie Reyes, Jr.). He also did the stunts for Donatello in the first and second movies." ~Ernie's new show has an official site startin' here **Click Click!! -- Kevin Eastman & Julies' Strain's new son Ben was born during last month's big Comic-con..
* Remember this is an adult content site. Links outside of the baby gallery may and WILL contain content that may not be suitable for sensitive people or those under 18!! ...there'll be 5 Tales trade paperbacks coming, and all 5 feature wrap-around "animated style" cover illos by yours truly (the first of which you can see below)! I knew Ubisoft picked up the gaming rights from Konami a while back. And it seems they are offering us something a bit more fresh than what the old boys at the big K are offering, but it looks equally cool as the green guys old games look. While it's REALLY small, if you click here you can view a bit of a teaser of the game. It almost sounds somewhat free-romaing like Spider-man 2 which in itself borrows the free-style of Grand Theft Auto. Truly, the game looks amazing. If those are only X-Box 360 shots though, I am SO getting one! Updates on the original classic TV series fans have been waiting for! Includes 12 episodes from the Original TV Series. Episodes include: Corporate Raiders from Dimension X, Pizza by the Shred, Super Bebop and Mighty Rocksteady, Beware the Lotus, Blast from the Past, Leatherhead, Michaelangelo's Birthday, Usagi Yojimbo, Case of the Hot Kimono, Usagi Come Home, The Making of Metalhead and Leatherhead Meets the Rat King. TEENAGE MUTANT NINJA TURTLES(R), related characters and the distinctive likenesses thereof are registered trademarks of Mirage Studios, Inc. All contents Copyright (c) 2006 Mirage Studios, Inc. unless otherwise noted. All Rights Reserved. TEENAGE MUTANT NINJA TURTLES(R) created by Peter Laird and Kevin Eastman. Disc and programs (c) 1990, 1991, 1992 Fred Wolf Films. All Rights Reserved. Based on the TV show produced by Fred Wolf Films. Looks like the folks on IMDB are featuring the new TMNT movie on today's front page! Currently living in Dallas with aspirations of being a successful designer/illustrator.